There may be no greater hot-button topic out in IT than Cloud Computing. Chief among the many challenges for infosecurity practitioners is integrating and enforcing an organization’s identities and their associated security policies beyond the traditional datacenter. This problem becomes even more worrisome given the regulatory climate and audit pressures surrounding identity and access management. 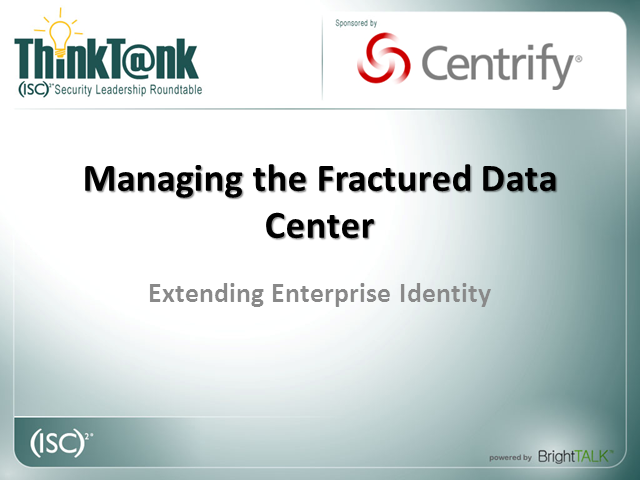 Join (ISC)2 and Centrify on October 12, 2010 for out next ThinkTank Roundtable at 12:00pm Noon Eastern time as we discuss this timely topic.